Prior to serving as ASBM’s Executive Director, I worked from 2002-2008 at the U.S. Department of Health and Human Services (HHS), including three years as Associate Deputy Secretary under Alex M. Azar, who was nominated recently as HHS Secretary. As a former health regulator, I understand the challenges we face when trying to make health policy. Generally speaking, it is important to seek the input of many stakeholders and use this input to guide your approach. When regulators fail to do this effectively, it can result in a failure both of policy and of leadership. Earlier this month, the U.S. Centers for Medicare and Medicaid (CMS) issued its 2018 Physician Fee Schedule, which governs how the agency reimburses physicians for their services. In a major reversal of policy beginning January 1, 2018, CMS will no longer permit multiple biosimilar products to share a billing code. The original policy was finalized in 2015 over near-unanimous opposition from a diverse group of stakeholders including patient groups, physician and pharmacist organizations, and both innovator biologic and biosimilar manufacturers. ASBM was among the policy’s vocal opponents, and joined with them in citing safety and pharmacovigilance concerns as well as the possibility of discouraging further biosimilar development and higher prices overall. With the new Administration, however came new leadership, new ideas and a new willingness to revisit a contentious issue. In a victory for patients, incoming CMS Administrator Seema Verma reversed the previous Administration’s policy, replacing it with one that better reflects the concerns of those whom it most affects. New leadership creates opportunities for positive change. 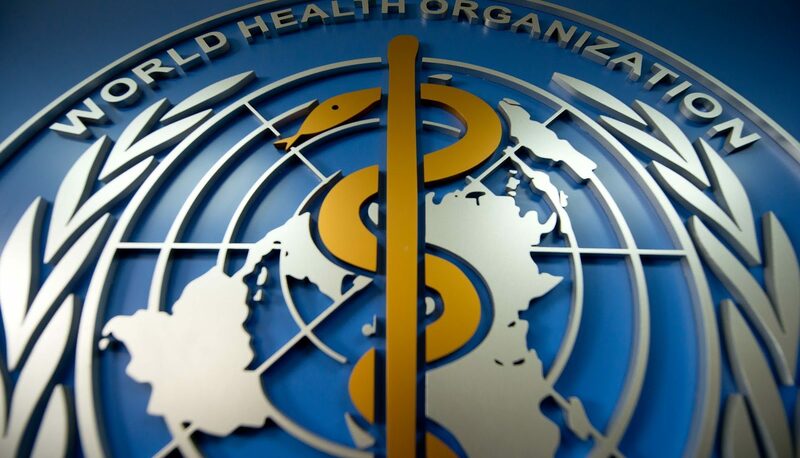 For this reason, in advance of the World Health Organization’s 65th Consultation on International Nonproprietary Names (INNs) last month, ASBM wrote a letter to incoming WHO Director-General Dr. Tedros Adhanom Ghebreyesus urging him to act on biologic naming. In 2014, after years of consultation with national regulatory authorities worldwide, the WHO’s INN Expert Group recommended the WHO make available a voluntary global standard for the naming of biologics and biosimilars to that product. This took the form of the “Biologic Qualifier” (BQ)- a four-letter suffix tied to the manufacturer or marketing authorization holder, appended to a root name shared by the originator product and all biosimilars to that product. The advantages of the BQ are many; clear product identification, reducing inadvertent substitution, ensuring accurate attribution of adverse events, improved pharmacovigilance, and increased manufacturer accountability are but a few. In 2015, the FDA adopted a BQ-compatible naming system, and Health Canada and Australia’s Therapeutic Goods Administration (TGA) have indicated their support for the WHO’s plan. Yet to date, the INN Expert Group’s recommendation has not been implemented, and regulators worldwide await the WHO’s leadership on biologic naming. I met with the Australian TGA in February and Health Canada in October to share survey results of biologic prescribers in those countries, and they remain supportive of the WHO, if frustrated by the delay in implementation. Around the world, ASBM has found broad support for distinct naming among physicians. 68% of Canadian physicians support distinct naming, as do 76% of their Australian counterparts. In the U.S., 66% of physicians and 68% of pharmacists support it. In Latin America, where pharmacovigilance systems are often less robust than in the wealthiest countries, an astonishing 94% of physicians surveyed support the BQ as a useful tool for ensuring their patients receive the correct medicine. The BQ is a well-considered and practicable solution to the global problem of biologic naming. The WHO has the world’s confidence and is unquestionably the best situated to facilitate global harmonization. Yet regulators recognize the need for action is immediate, and in frustration, are looking elsewhere. The TGA recently solicited input on whether they should harmonize instead with the U.S., or create their own distinct naming system. So today we are witnessing the beginning of the fragmentation the BQ was created precisely to avoid. Further delay in BQ implementation risks undermining harmonization efforts and additional proliferation of country-specific naming schemes. As in the CMS example, new leadership brings with it the chance to revisit and correct the errors of the past, to listen to stakeholders, and to get health policy right for those it affects most. It remains our hope that under Dr. Tedros’ leadership, the WHO will act soon to extend the many protections of distinct naming to patients worldwide.